After Years of Reporting on Abused Kids, One Reporter Sees the Benefits of Not Minding Your Own Business. "What the hell is going on? People are afraid to do the wrong thing, so you don’t do anything." Nancy Rommelmann always had a knack for getting people to tell her uncomfortable truths. In 1994, she was on assignment in Los Angeles to cover the opening of a store that did genital piercings. She asked a couple getting piercings as "engagement rings" how they would react when people wanted to see the rings. "The wife-to-be smiled and said, 'We'll show them,'" recalls Rommelmann. "Her response felt as though it had dropped from a little star. I knew at that moment I would pursue journalism and nothing else." That pursuit has taken Rommelmann to far bleaker places. Her new book, To the Bridge, is the latest in a series of investigations into parents who place their children in harm's way. Her previous work on the topic includes two cover stories for WW: on the murder-suicide by a mother who suffered from the mental disorder Munchausen syndrome by proxy ("Sacrificing Rebecca," WW, Dec. 18, 2007) and on a church that serves ayahuasca to kids ("Children of a Higher God," WW, March 2, 2011). Related: A Portland Mother Dropped Her Children Off the Sellwood Bridge. Nine Years Later, a Book Tells Us How She Got There. Rommelmann acknowledges that writing about dangerous parents is "my little cottage industry." She's pursued a subject most would rather look away from. 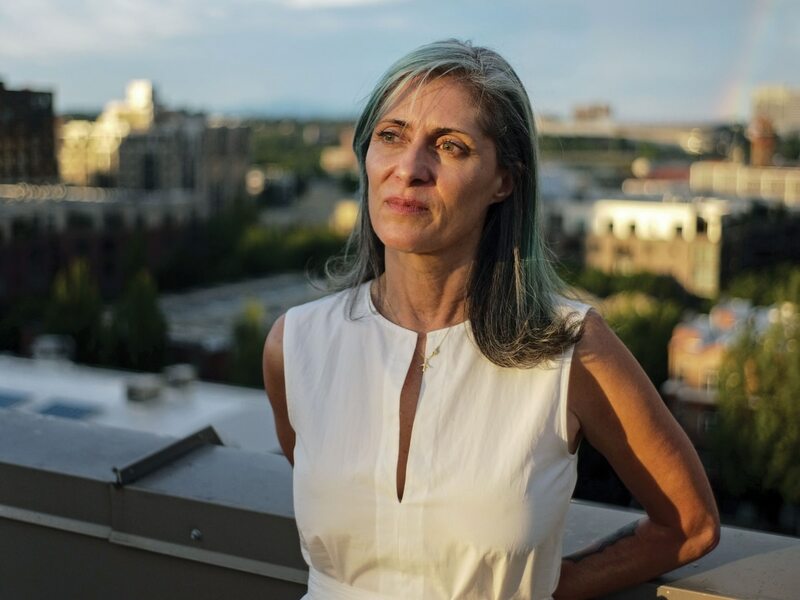 In her latest effort, she spent seven years reporting on why Amanda Stott-Smith threw her two youngest children off the Sellwood Bridge. WW asked Rommelmann about her pursuit of that subject and what she's learned. 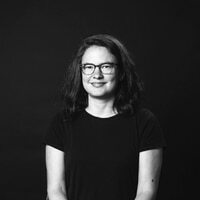 Nancy Rommelmann: As a journalist, without being too fruity about it, there are certainly stories you feel compelled to follow. I guess I had to figure out how these things happen. I've written about a lot of things—cops and movie stars and con artists. But I do often come back to children who have been treated badly. I feel I want to take care of these kids more. They clearly weren't taken care of for a portion of their lives before their deaths. An engagement with motherhood came really naturally to me. I learned academically there are women who really don't have that connection. It's like nothing. I don't know if you can call beating a child to death "no relationship with motherhood," but it shocks me. It's not an easy thing to investigate, let's put it that way. There were some rough moments. You say people don't write about it—but the news media jump on stories about moms who kill. So you've read some of these stories. Have you read an unpacking where you understood why these people did what they did? Do you think it's knowable? I think often it's knowable why anyone does what they do. I think if you spend enough time looking at it from enough angles. I just don't believe things come out of the blue. I'll give you an example. I didn't have an agent at the time [I started writing To the Bridge]. I was talking to an agent, and she said, 'Well, look, I think there is an interesting story here, but at the end of the day it's going to come down to one or two things: She was evil or she was crazy.' I thought: That's it. Those are the two categories we get to put mothers who kill in. I thought, why? Are the media and the public asking the right questions? We're not—because it's a very, very, very difficult topic to sit with. It's very upsetting. It's very angering. It's very mysterious because parents are supposed to take care of their children. Things like this happen, and people say: "Take the mother to the Sellwood Bridge hang her and lower her slowly so as not to break the neck right away." People are so angry. You've got the mob. Then you've got a pleading for understanding or "She's mentally ill." And then we all go away. And the next story happens. And we do the exact same thing. But aren't these women mentally ill? Some are—sure. To axiomatically say oh, well, she's got to be mentally ill, is taking away agency from her. Women do have free will. I was surprised by your analysis that we are easier on moms who kill their kids than we are other murderers. It's because we have a very hard time thinking a mother could do something terrible to her child. It's a big step and we're reluctant. The number of incarcerations bear out that the law goes easier on women. Do these killings fit a pattern? When people no longer feel they have control of their lives—whether it's financially, psychologically, or there's abuse or drugs—all of these things contribute to people doing all sorts of crimes. This is another one. I don't think there's one kind of person who does this. Having said that, disaster was certainly in the making in terms of Amanda [Stott-Smith] and her husband, Jason Smith, and their children. And anyone who reads the book is going to say, "Wow, that's a lot of red flags." For me in many ways, Amanda was piece by piece being robbed of who she believed she was and who she believed she was entitled to be, and it just kept getting worse. She lost her marriage, her kids and her place to live. This summer, Portland is again fixated on what looks like a mother murdering her kids. What was different or the same about the Harts' case? There was a pattern of these children being neglected and abused. We can see that now: the secrecy. They were being celebrated for something that was not the case at all. Their whole life sounds like absolute hell. Should people have stepped in and done more? It's very, very tempting to say [the Oregon Department of Human Services] just fell down on the job. Often these people are very skilled at presenting well. In Amanda and Jason's case, DHS came to the house, and it looked nice and clean. The people who are closest to them, they know something's wrong, but they don't know how to fix it. What can change in society to prevent this? If I could wave my magic wand, it wouldn't just be in terms of people having your eye out for kids who are in danger. It would be people would speak up in general when they see something that's really terrible—[even if] it's people who fall down in the street. I had that happen not long ago. This 80-year-old guy did a face plant. I am not kidding you when I tell you there were 24 people standing around and I was the only person helping this guy. What the hell is going on? People are afraid to do the wrong thing, so you don't do anything. Well, this is what you're going to get. You're going to get people in danger. I don't have a playbook. But if you think something really, really screwed up is going on, don't just call DHS; try to figure out what's going on. I would. I do, but I'm a nosy reporter.